Our founding partners, Robert Burford and Brent Perry, have represented a number of businesses and individuals on both sides of business fraud claims and achieved successful outcomes for their clients. For example, in Kellogg v Quantum Chemical Corporation, Robert Burford successfully defended a fraud claim relating to the use of proprietary technology in which the other side claimed more than $300 million in damages. After a several-week trial, the jury found no liability against his client, M.W. Kellogg, and assessed more than $13 million in damages against Quantum Chemical on a counterclaim for theft of trade secrets. On the plaintiffs’ side, Brent Perry negotiated a favorable confidential settlement for a family that was the victim of real estate fraud by the family’s real estate agent in connection with the sale of their 12,000 square foot home in Thornton v. Martha Turner Properties. Although many Houston business owners believe they will never be victims of business fraud, the reality is that business fraud is all too common and victims will need an experienced lawyer. Allegations of fraud are very serious and can sometimes include criminal charges, so if you suspect you are victim of fraud, or have been accused of fraud, it is important to immediately engage the help of experienced Houston business fraud attorneys. Burford Perry attorneys are well-versed in the complexities of high-stakes business fraud claims and regularly handle such cases. What Is Legally Considered Business Fraud? Business fraud occurs when an individual or a business intentionally deceives another individual or business for financial gain. More specifically, fraud occurs when the following five elements transpire: (1) the false representation of an important fact, (2) which was made by a party (3) who knew that the representation was false or who made the representation recklessly without knowledge of the truth (4) with the intention of convincing another party to make a decision based on the false representation, (5) which causes the decisive party to suffer damages. Business fraud can also occur when a party deliberately fails to disclose material information and the circumstances obligate the party to speak, such as when the parties have a confidential or fiduciary relationship; (2) a party voluntarily discloses some information and must then disclose the whole truth; (3) new information makes a party’s earlier representation misleading or untrue; or (4) a party makes a partial disclosure and conveys a false impression. With such a broad definition, there are a variety of acts that can be considered business fraud. Securities Fraud – Also known as stock fraud or investment fraud, securities fraud occurs when an individual or business convinces investors to make a purchase or sale based on false information. Texas securities laws are particularly nuanced, and individuals and businesses are frequently unaware that a transaction is subject to the Texas Securities Act. This is because Texas defines the term “security” broadly to include, for example, a certificate or instrument representing any interest in or under an oil, gas, or mining lease, fee, or title, as well as many joint venture interests, regardless of whether the security is evidenced by a written agreement. Even more, unlike federal securities laws, the Texas Securities Act does not require proof of scienter or reliance—creating a lower standard of proof compared to federal securities laws. Corporate Misconduct – When an individual at a company acts in a dishonest or illegal manner to give himself or herself an advantage, it is called corporate misconduct. Corporate misconduct can lead to both criminal and civil actions. Insider Trading – While some types of insider trading are legal, there are strict reporting requirements. However, other types of insider trading are illegal, and perpetrators can face serious fines and even jail time if convicted. Insider trading violations may occur by “tipping” material, nonpublic information to others, trading by the person “tipped,” or trading by those who misappropriate such information. Accountant Fraud – Anytime an accountant forges accounting records to falsely benefit the financial performance of a company, it is considered accountant fraud. Embezzlement – Embezzlement occurs when an individual steals or misappropriates money or assets of a company. Fraudulent Inducement to Contract – Sometimes, to get another party to agree to a contract, an individual or company may lie about financial assets, performance, and other factors relevant to the party’s decision. Fraudulent Transfers ­– Debtors who want to avoid paying a debt owed to a third party sometimes transfer their assets to a relative, business partner, or even another legal entity to keep the assets safe from collection. Many times, these transfers constitute a fraudulent conveyance, regardless of whether the transfer is made before the entry of judgment, because the transfer was intended to hinder, delay, or defraud a contemplated judgment creditor. Even without proof of actual intent, an asset transfer may be avoided if the transferor was financially vulnerable at the time of the transaction. Fraudulent-transfer laws allow creditors to unwind these asset transfers and recover property from initial and subsequent transferees who did not receive the property in good faith and for a reasonably equivalent value. Unfortunately, sometimes it is impossible to avoid becoming a victim of business fraud. Once you believe you have been injured by fraud, it is important to act promptly to protect your interests. Preserving all your communications with the other party and gathering documentation regarding the underlying transaction as well as the injury to you or your business will be critical to your recovery. 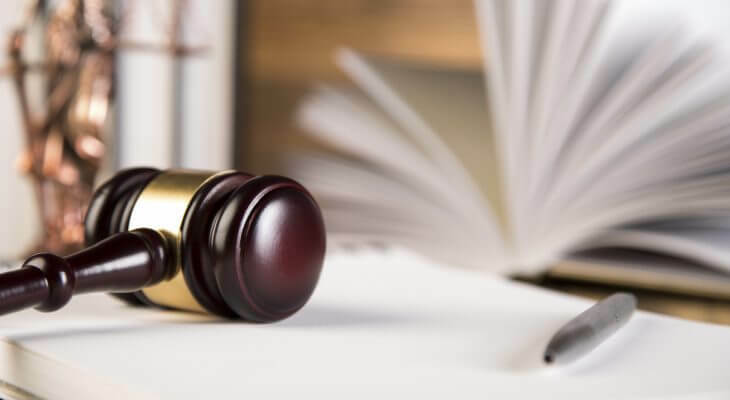 Moreover, it is important to engage an experienced business trial lawyer like the attorneys at Burford Perry who can advise you on your next move. Business owners should be aware that the actions of one dishonest employee could end up costing the entire business its livelihood. Allegations of fraud could cause business assets to be frozen, production to come to a complete stop, and even shut down an entire company. If you suspect fraud is occurring at your company, you need to immediately find a business fraud attorney who can protect your best interests. Whether the fraud in question is criminal or not, business fraud cases are incredibly complex, and the parties involved will need an experienced fraud lawyer who can investigate the situation with discretion. Hiring an experienced fraud attorney as early as possible is the best way to protect your rights, assets, and your business from harm. The attorneys at Burford Perry have more than 55 years of combined experience handling business fraud cases. With degrees in accounting and economics and backgrounds in finance, accounting, and business ownership, our attorneys bring a skill set to business fraud cases that few lawyers possess. Our attorneys will understand and evaluate your case at every stage to help protect your business and your assets. Most importantly, our lawyers have the experience and prior success rate needed to try your case and win when negotiation fails to produce acceptable results. If you believe you have been a victim of business fraud, contact Burford Perry to learn about your legal options in a consultation. Horizon Shipbuilding, Inc. v. BLyn II Holding, LLC, 324 S.W.3d 840, 849–50 (Tex. App.—Houston [14th Dist.] 2010, no pet.). Siddiqui v. Fancy Bites, LLC, 504 S.W.3d 349, 369 (Tex. App.—Houston [14th Dist.] 2016, pet. denied). Tex. Rev. Civ. Stat. Ann. art. 581-4. In re Enron Corp. Sec., Derivative & ERISA Litig., 761 F. Supp. 2d 504, 544 (S.D. Tex. 2011). See United States v. O’Hagan, 521 U.S. 642, 651–53 (1997).